This post was sponsored by Allegra® Allergy but all thoughts and opinions are my own. You know what feels really great? 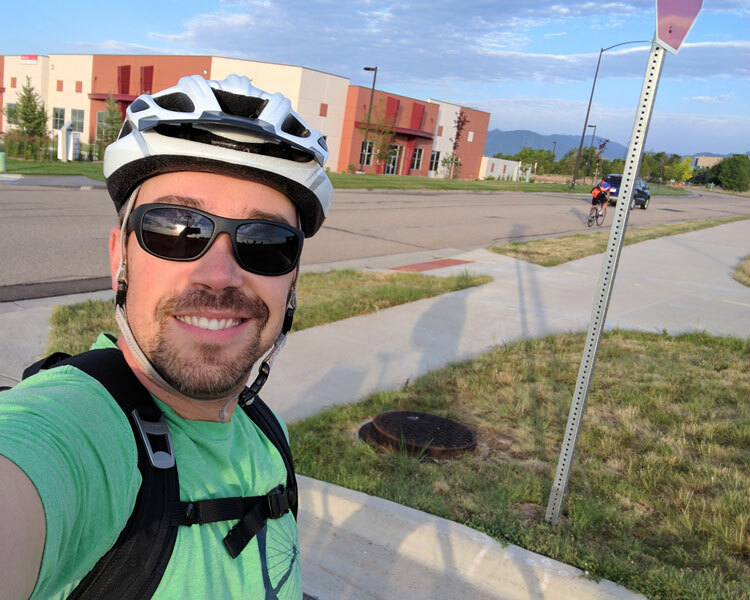 Reducing my air pollution this week by biking to work on #BikeToWorkDay! 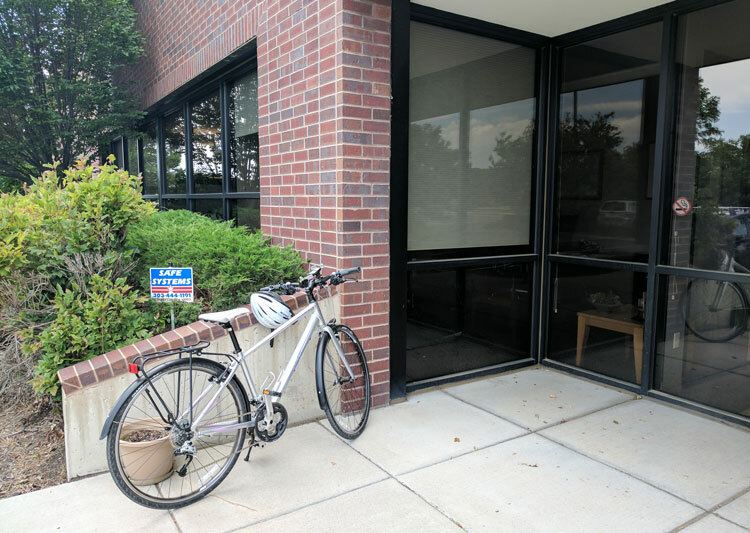 Both my husband and I decided to bike to work this year (he almost always does – and this year I was finally able to!) Yay! Bike to Work Day is a free nationwide event that happens annual (usually in May or June). It encourages people who normally drive alone to work to ride their bicycles instead. 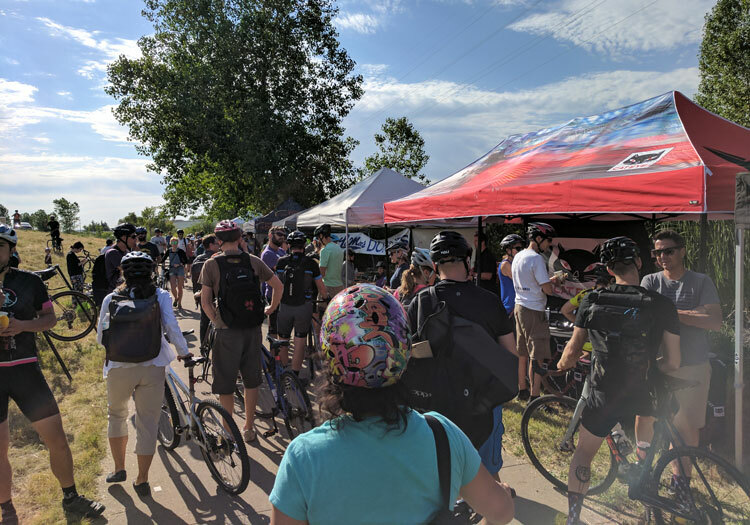 Bike to Work Day is open to everyone and is supported by local businesses with breakfast stations, afternoon water stations and bike party events. Did you bike to work this year on Bike To Work Day 2017? *This survey was conducted online using Toluna’s QuickSurveys methodology between January 22, 2017 and January 24, 2017 among 1,256 adults (ages 18 and over) in the USA. Respondents for Toluna QuickSurveys are selected from among those who have agreed to participate in Toluna surveys. I love the community feel of the event. Everyone out on bikes on a mission to keep the cars off the road! It feels so good to be a part of! Plus, there are a ton of companies that have booths like breakfast stations, giveaways, freebies, gear sales and more! This year it seemed like more companies than ever were out supporting the day! My husband’s work sponsored a bike to work station with prizes, free stuff and a coffee bar. 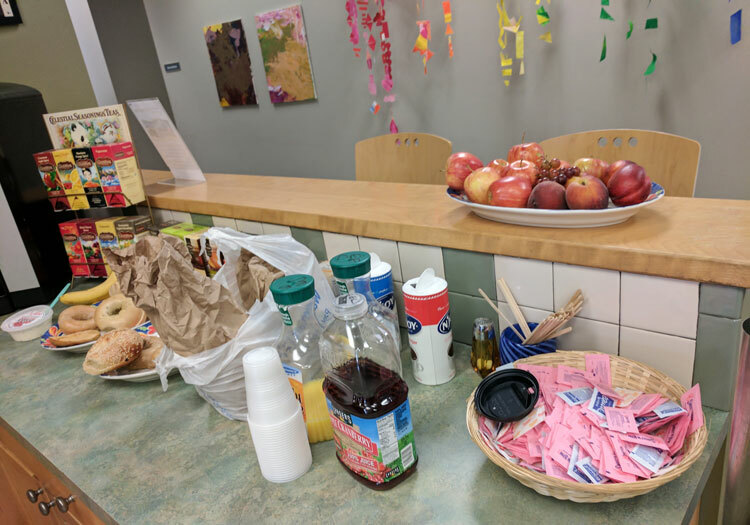 My work had a nice spread of fruit, bagels, coffee and tea for all of us who biked in today! It was so nice! You might be thinking, I couldn’t bike to work – “It is too far” or “I’d be too sweaty” or “My allergies would be terrible”. Excuses! But guess what? There are solutions to all of those complaints! Allergies Not Getting In My Way! In fact, I have made excuses in the past too! Especially when it comes to my allergies. I hate having itchy eyes, runny nose, feeling spacey – all of the issues that arise when I am spending time outdoors in the spring and summer! Thankfully, I have no excuse not to bike when I use Allegra Allergy for my seasonal allergy symptoms. 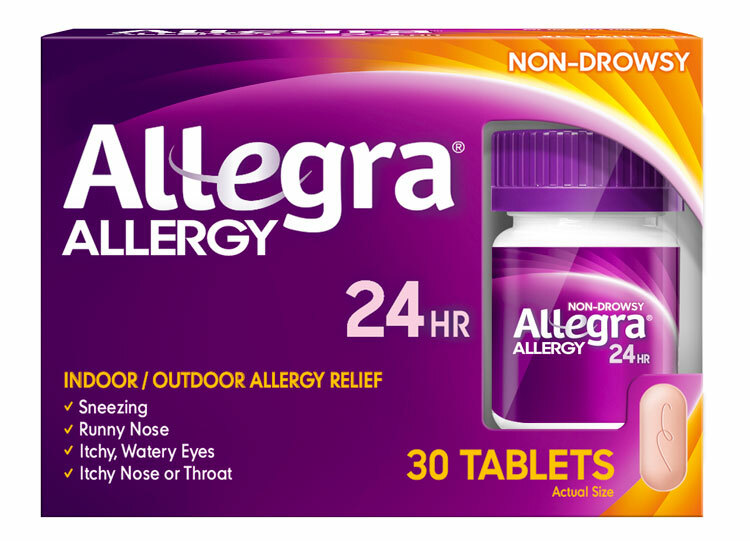 Allegra Allergy is an antihistamine that offers adults fast,** non-drowsy relief from indoor and outdoor allergy symptoms – including itchy and watery eyes and a runny nose. **Starts working in one hour. Use only as directed. 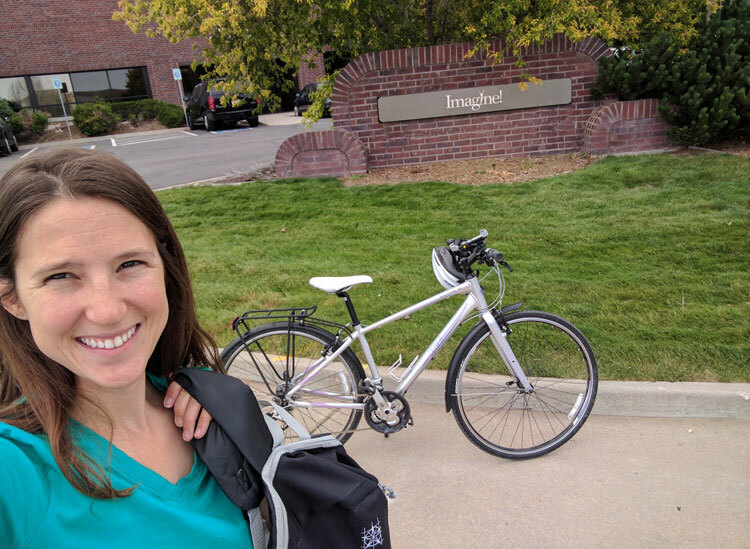 It makes perfect sense that Allegra Allergy supported several Bike to Work Day events across the country as a small step to help reduce air pollution and to get more people outdoors this spring! They even had a booth in Denver and were giving out Allegra Allergy 24HR samples! If you missed Bike to Work Day this year, don’t worry! There is always next year – and don’t forget your Allegra Allergy tablet before your ride to stop those allergy symptoms! Happy biking while saving the environment too! I have terrible allergies, but they are only for about a month in the spring. I swear by Allegra. It really works well for me. Seems the older I get the more I suffer from allergies all year long. I take this regular and it works wonders. Don’t know what I would do with out it. Our city is getting more and more bike routes which I love! 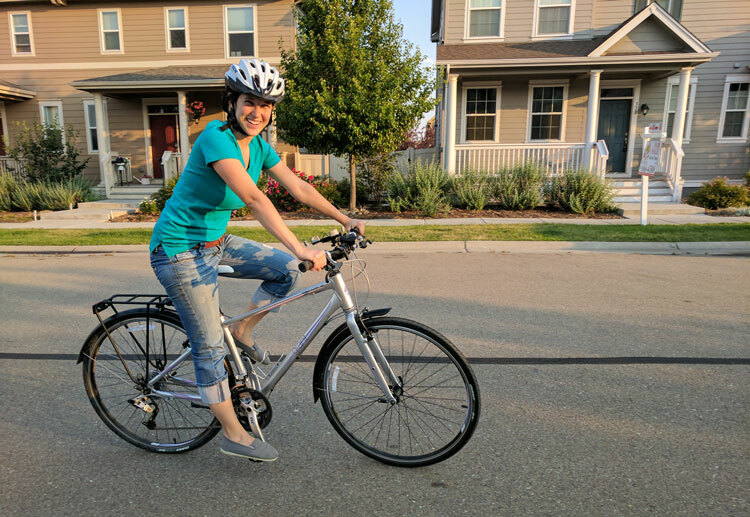 I did not bike to work because I work at home and it would be a really short ride lol. I do think more people should do it though for our environment! I deal with allergies every year so this is good info for me! I love to go biking and I suffer from allergy, too. I need to check out Allegra. Oh how fun! It will be really cool if that event will be held more than once. 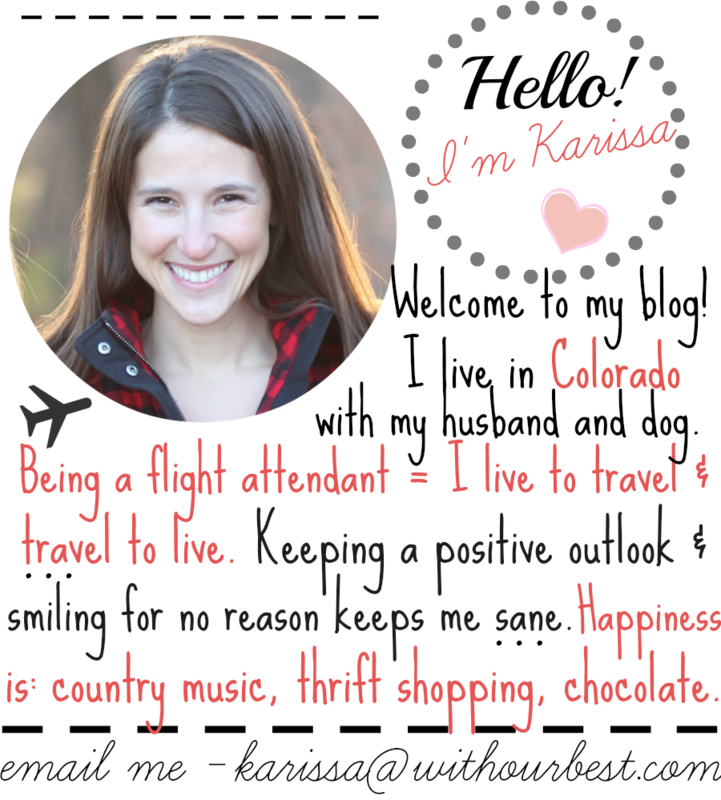 You can meet new people and help the environment. My husband deals with pretty bothersome allergies. He suffers all the time with sneezing and runny nose. I will show him this post. I need to check into this. During the summer, my daughter and I suffer terribly because of allergies. I don’t have allergies, but I know many who do. 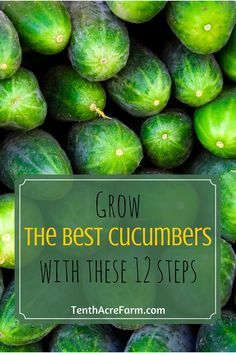 This is a great product that helps many. I know a lot that trust this brand. Allegra is my friend! My husband and I are in Belize right now, but prior to this we were in Texas … in the springtime! Wow! I really like the idea of bike to work day. And yes, sometimes I have allergies and I hate it. My eyes get all watery and it stinks. My husband has allergies. The last two brands we tried didn’t work well for him. We will try this one next! Kudos! I haven’t done bike to work day in several years. I’m also a severe allergy sufferer of trees, weeds and grass. I use Allegra to help ease my symptoms. Allergies are terrible, especially in spring or when the pollen count is high. Will have to try this brand soon.